Crawford Garage Doors sells and services residential gate openers from LiftMaster and Viking. Sleek and powerful, Swing Gate Operators can easily and reliably give you access to the most impressive of gates. And the built-in Security+ 2.0® Technology virtually eliminates interference, letting you securely open your gate at 2x the range of other remotes. One of our most popular swing gate operators, just got even better in delivering unsurpassed performance and secure access to your property. Access your property like never before. With MyQ® Technology you can monitor and control your gate from anywhere and get in quickly and securely with the built-in interference eliminating Security+ 2.0™ radio. Best in class power management technology extends battery backup for up to 97 days* without recharging, providing greater security and reliability. No one else can offer you that peace of mind. Battery Backup safeguards your property by providing up to 400 cycles* or up to 97 days* of standby power when the power is down. 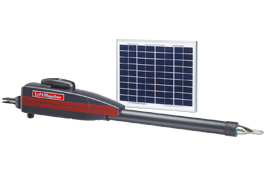 The most solar optimized swing gate operator on the market, delivers unmatched performance, power and reliability when and where you need it to quickly and safely access your property. Access your property like never before. With MyQ® Technology you can monitor and control your gate from anywhere and get in quickly and securely with the built-in interference eliminating Security+ 2.0™ radio. Industry-leading power management technology delivers power when you need it most to operate your gate and minimizes power draw at all other times. Receive up to 126 days* of stand by time without recharging. No other company can offer you that peace of mind. 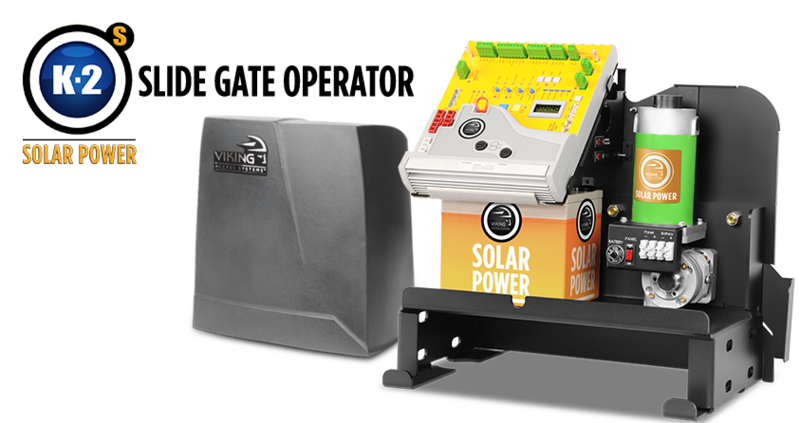 Solar Optimized Ultra-Reliable Systemdelivers power when you need it most to operate the gate and is extremely power efficient at all other times to maximize solar performance. Home owners may qualify for 30% solar tax credit. Our most powerful swing gate operator delivers unsurpassed performance and secure access to your property. Access your property like never before. With MyQ® Technology you can monitor and control your gate from anywhere and get in quickly and securely with the built-in interference eliminating Security+ 2.0™ radio. Our industry-leading power management technology extends battery backup for up to 24 days* without recharging. No other company can offer you that peace of mind. 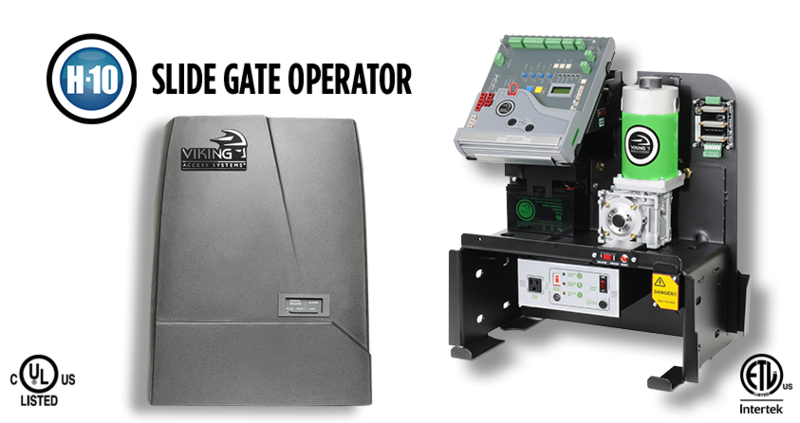 Viking Access Systems are available in Swing Gate Operators, Slide Gate Operators, Underground Operators and Solar Gate Operators. The newly redesigned T-21™ 1/4″ steel chassis with multilayer corrosion protection ensures reliability and long lasting operation in the harshest of environments. Built-in heater with thermostat control, 115/230 AC operation, Viking’s true battery backup, increased lightning strike protection and smooth start / stop operation are all standard features. The T-21™ swing gate operator has a 5 Year commercial or 7 residential warranty and a gate capacity of up to 2000 lbs.The removable power supply box includes LED indicators and communicates to the VFlex™ LCD screen, displaying the status of the AC line, surge protection and fuses of the operator. The Viking T-21™ is available in standard single package and optional master / slave option. The newly redesigned F-1 vehicular swing gate operator includes the VFlex control board and a removable power supply box for low voltage wiring. The VFlex control board provides a LCD display for diagnostics and operator status. 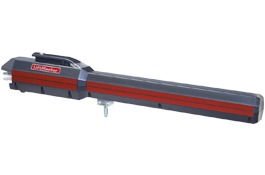 The new 1/4″ steel chassis allows an increased handling capacity for gates up to 1500 lbs. 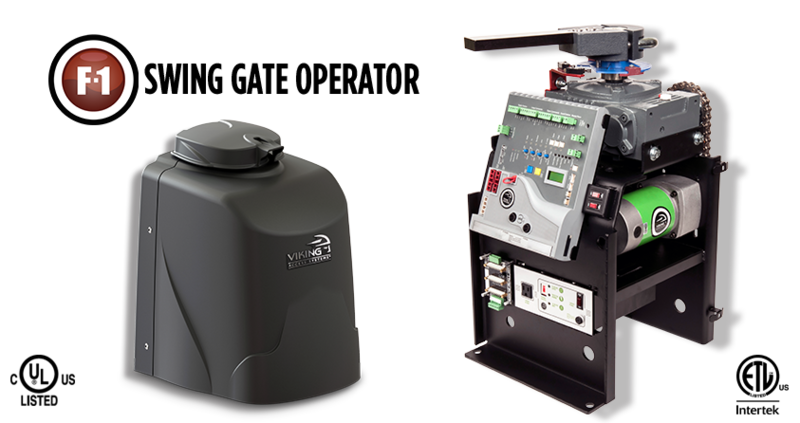 The F-1 operator also features Viking’s soft-start / soft-stop, built-in heater and Viking’s true battery backup system. Smooth gate operation, compliant to both ETL and UL standards with 5 year commercial or 7 year residential warranty makes the F-1 operator the ideal choice for your gate automation needs. The Viking F-1™ is available in standard single package and optional master / slave option. The newly redesigned R-6 residential swing gate operator features the VFlex control board with on-board diagnostics LCD display and new chassis design providing easy viewing of the controls. The R-6 is also equipped with a built in heater; an on board temperature management system and allows for an increased gate capacity of up to 700 lbs.. Viking’s integrated true standard battery backup system, convenient fuse access and LED status indicators for incoming high voltage makes the R-6 the operator of choice for your residential swing gate application. The R-6 swing gate operator has a 5 Year residential warranty. The Viking R-6™ is available in standard single package and optional master / slave option. The Viking G-5™ is available in standard single package and master / slave package. 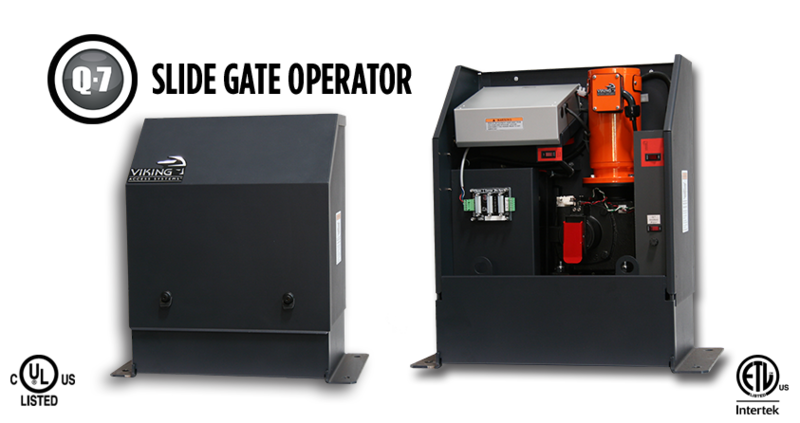 Some of the standard features include: 5 year commercial warranty, UL325 and UL991 compliance, innovative fine tune adjustment for the end of gate travel ( down to 1/8” ), adaptive algorithm with smooth acceleration and deceleration, more than 1/2 kilowatt of power, built in battery backup capable of 100 cycles in case of power failure, a powerful and efficient gear-head motor. This operator is equipped with mechanical manual release freeing the gate completely from the gear drive. The Viking Q-7™ is available in standard single package and optional master / slave option. 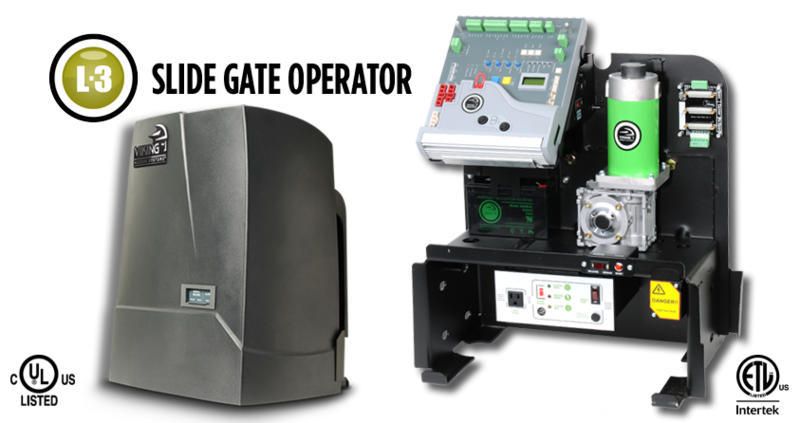 The newly redesigned H-10™ slide gate operator features the VFlex control board with on-board diagnostics LCD display and a removable power supply box for low voltage wiring. The new chassis design provides easy viewing of the controls and integrated post-mount provisions. Featuring a built in heater, increased gate capacity of up to 2200 lbs., a 5 Year commercial or 7 Year residential warranty and Viking’s true battery backup system. 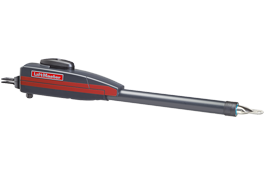 The H-10™ includes simple push-button digital limits setup, lockable cover and convenient access to the switch for manual release making this operator an excellent choice for both your residential and commercial needs. The Viking H-10™ is available in standard single package and optional master / slave option. 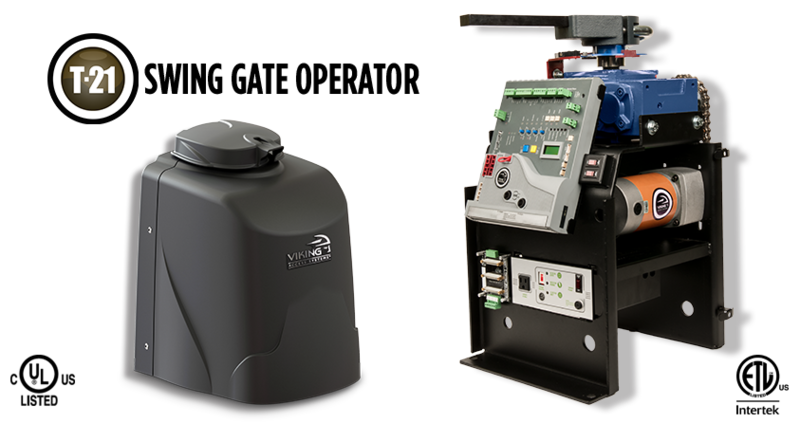 The newly redesigned L-3™ slide gate operator features the VFlex control board with on-board diagnostics LCD display and a removable power supply box for low voltage wiring. The new chassis design provides easy viewing of the controls and integrated post-mount provisions. Featuring a built in heater, increased gate capacity of up to 1600 lbs., a 5 Year commercial or 7 Year residential warranty and Viking’s true battery backup system. The L-3™ includes simple push-button digital limits setup, lockable cover and convenient access to the switch for manual release making this operator an excellent choice for both your residential and commercial needs. The Viking L-3™ is available in standard single package and optional master / slave option. The Viking X-9™ is available in standard single package and optional master / slave option. 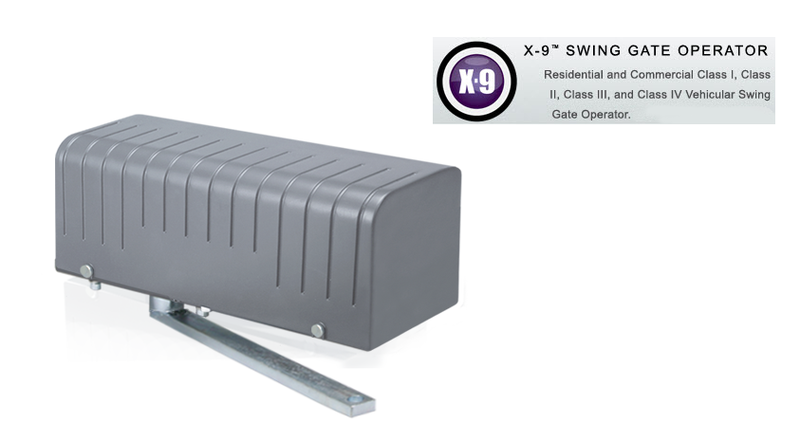 The I-8™ in-ground vehicular swing gate operator includes a 3 year residential or 2 year commercial warranty and it is ETL, UL325 and UL991 listed. The direct drive DC gear-head unit is water resistant and has a convenient manual release mechanism. 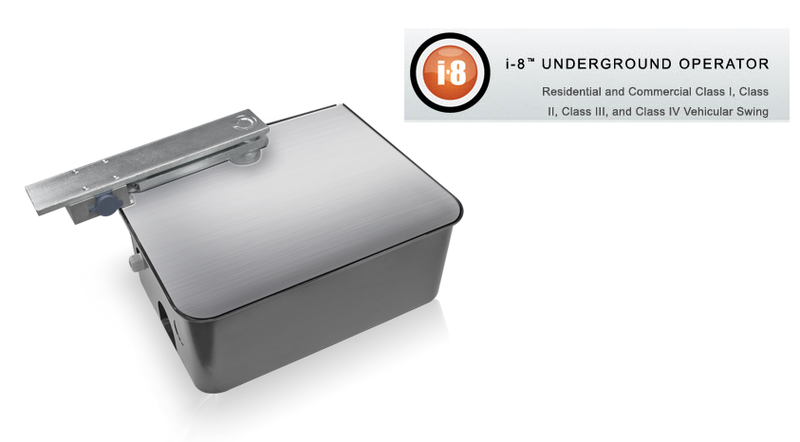 The I-8™ comes with standard steel chassis and a battery backup capable of 400 continuous cycles. An optional Stainless Steel Chassis and hardware are available. The I-8™ is now powered by the VFlex control board, including speed control and diagnostic LCD display. 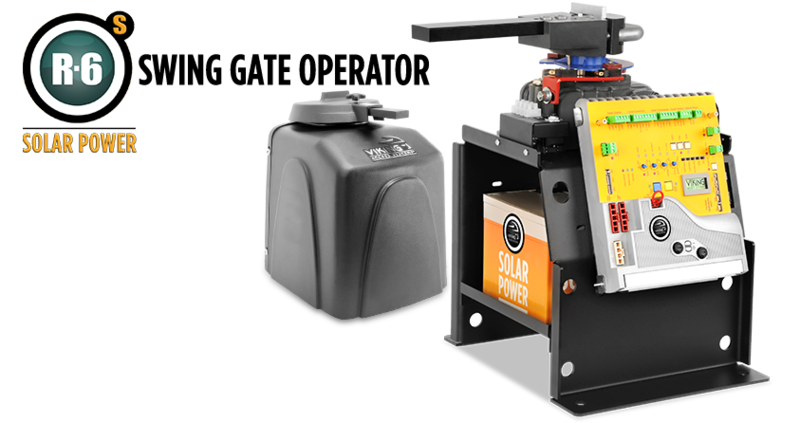 This intuitive operator is solar efficient and ready to be powered with low voltage wiring, allowing versatility of installations. 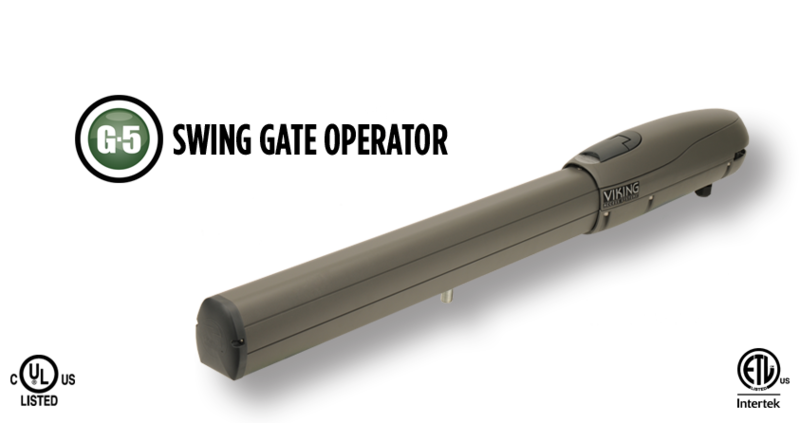 The Viking i-8™ is available in standard single package and optional master / slave option.